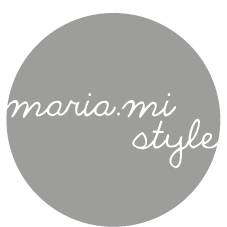 This is a blog I started following recently and instantly fell in love. 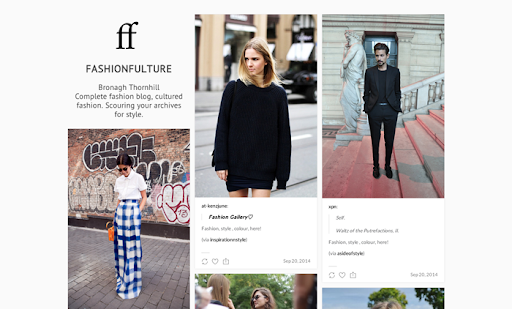 Lovely style inspiration, reblogged a lot of modest fashion inspiration from this tumblr. I mentioned this blog in my previous tumblr crushes and it probably will always be a favourite. 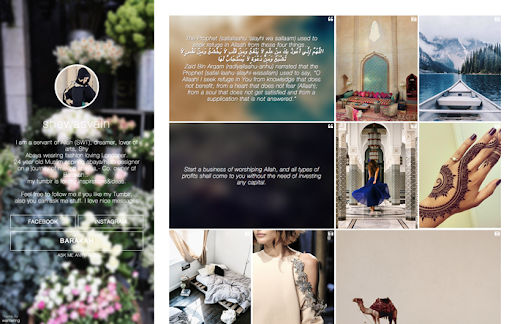 The islamic reminders, middle eastern culture and modest fashion inspiration are the reason I am always drawn back to this tumblr. And the blogger herself is lovely mashaaAllah! So I don't know how I came across this gem of a writer but MashaaAllah her writing is amazing. 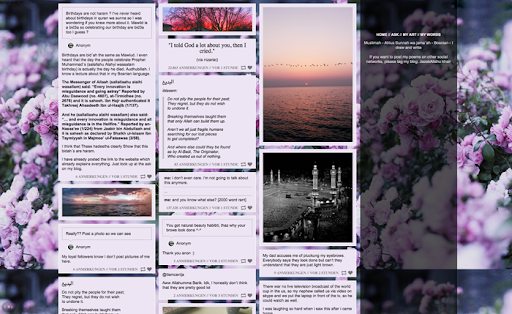 I follow a few islamic blogs but this has to be one that is my favourite. 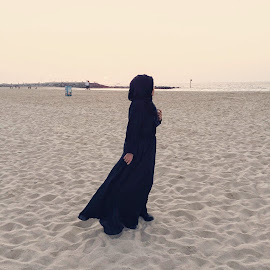 Her poems are titled with Allah's beautiful names and they are all so touching, you should definitely check her out if you are not following her already. 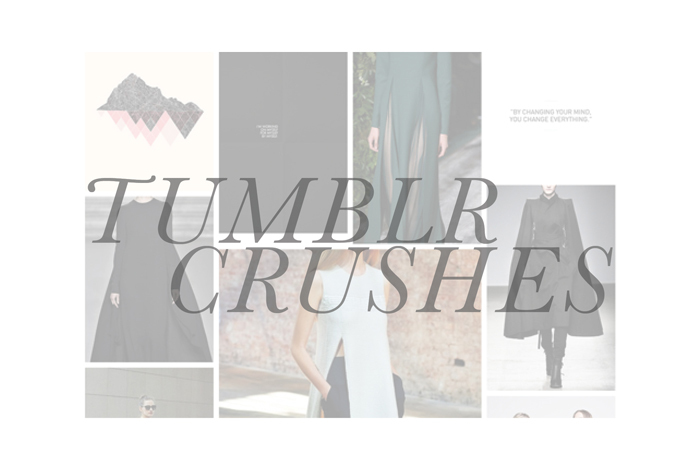 Who are your tumblr crushes?